When you think of Ravinia in Highland Park, the first thing you probably think of is music. Big names may come to mind of those that are appearing this summer - Sheryl Crow, Common, the Beach Boys, One Republic, John Legend, Willie Nelson, Alanis Morrisette, John Mellencamp, Aretha Franklin and more. Or perhaps your mind goes to the classical concerts of orchestras and quintets. You may think of the expansive lawn that allows for roomy accommodations for spreading out your own chairs and sipping wine. You may not, however, immediately think of food. But, you should. You really, really should. Ravinia Festival is the ideal Chicago-area dinner and show spot. 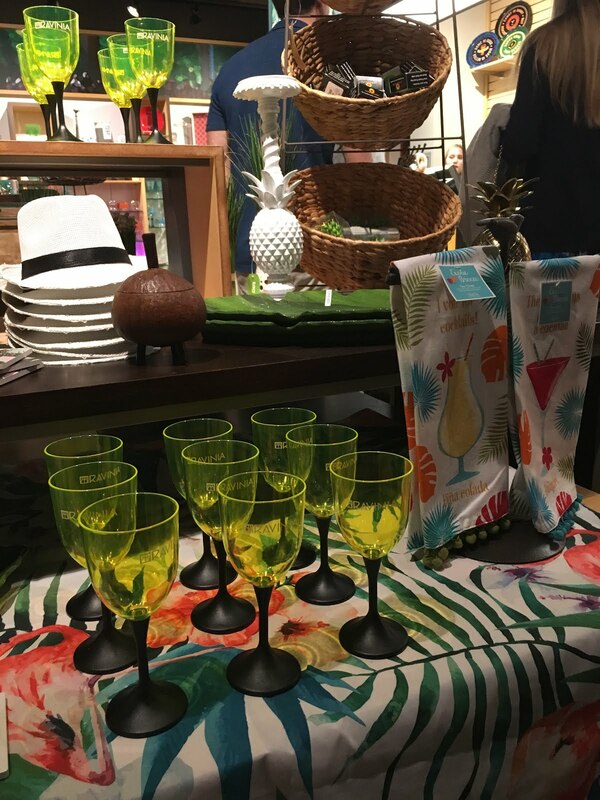 Chicago Foodie Sisters was recently invited to get a taste of what they have to offer at a food blogger dinner hosted for #Foodiechats at the Park View Restaurant on the grounds of Ravinia. It's one of several areas on the property where you can dine to enhance your evening. If you thought that a summer concert meant you were limited to overpriced nachos and hot dogs that you grab at a stand after waiting in an insanely long line, you couldn't be more wrong. 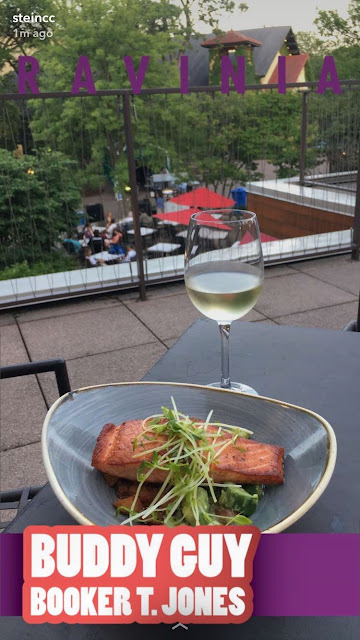 There are several dining options at Ravinia Festival that range from pre-ordered picnic boxes to quick, but quality take-away sandwiches and salads to leisurely indoor or al fresco dining of seafood, prime rib and more with wines from around the globe. It's the best place to enjoy live music if you're both a concertgoer and a foodie. 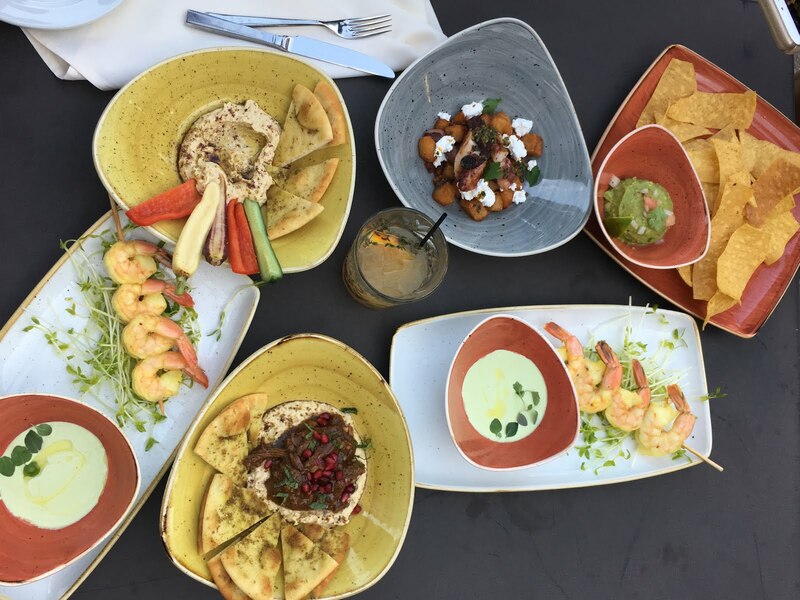 Park View - Upscale dining, but unpretentious classic American dishes with extensive wine and cocktail list and second floor outdoor patio. 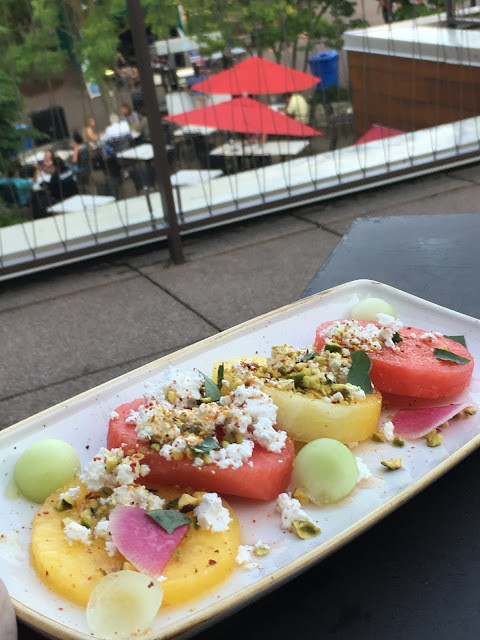 Mirabelle - Chef's Table featuring seasonal, Midwest selections and themed and guest chef menus that change daily with indoor and al fresco seating. 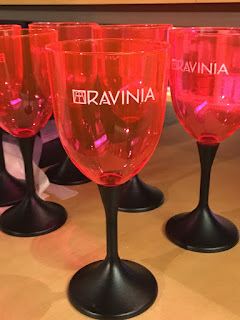 Ravinia Market - Offers quality, quick take-aways, including signature brick-oven pizzas, grilled burgers, hot-pressed torts, salads, daily specials and more with beer and wine selections. Picnic Boxes - If you plan to enjoy a leisurely evening on the lawn, but don't want to lug coolers and prep all your food, order a picnic box at least 48 hours in advance and your meal will be ready to go when you get there. Fanfare Carts - Throughout the park, these stands offer refreshments and beverages, including gourmet specialty coffees. So, back to our dining experience at Park View. We had an opportunity to try ALL of the appetizers. :) Guacamole with tortilla strips. Hummus Crudite with baby seasonal veggies and naan. 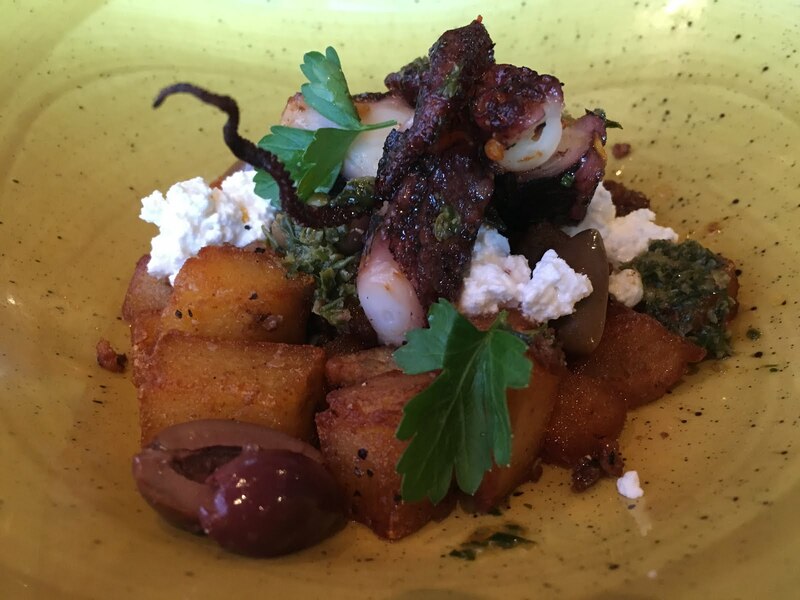 Grilled Spanish Octopus with potato chorizo, kalamata olives and farmer's cheese. Mediterranean Shrimp Cocktail with cilantro garlic yogurt. Hummus Kawarma with braised lamb and pomegranate. All were amazing. 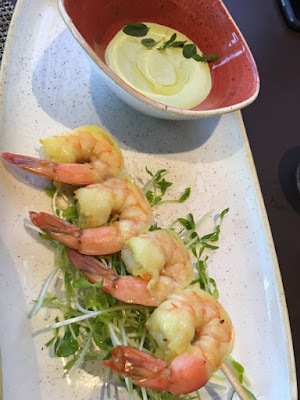 The cilantro garlic yogurt was such a refreshing touch, taking it a step beyond traditional shrimp cocktail. 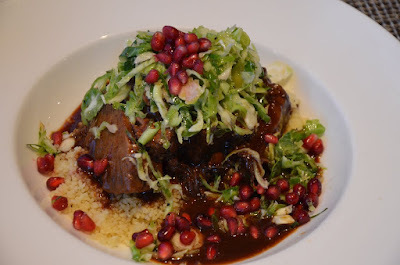 And the braised lamb with hummus and naan was hard to resist. The beautiful presentations led to a fun outdoor photo shoot on the patio. It's always fun to dine with fellow food bloggers who get you. We know that it's forbidden to take a bite before you've gotten a shot of the plate from every angle. They understand that the food may be a little cold by the time we get to it, but that it's well worth it to document every bite (after all if you didn't Instagram it with an awesome filter, did it ever really happen?) And no one bats an eye when you stand on chairs to get a bird's eye view with your big clunky camera. 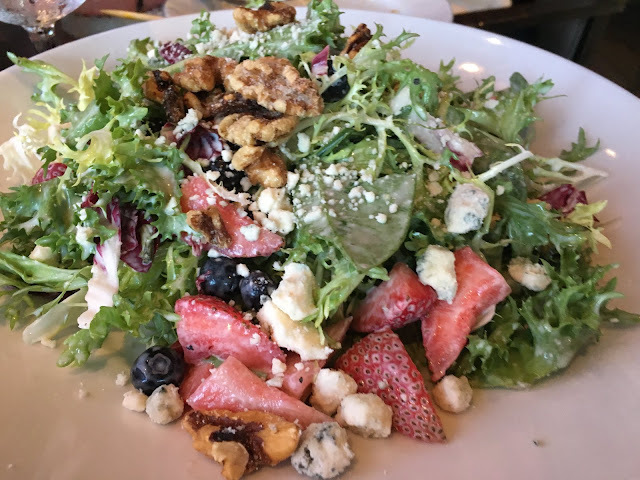 A number of fresh seasonal salads were included on the menu, including one of my favorite ever salads - melon and feta salad, which included a yellow watermelon as well as traditional watermelon. Hubby was my sidekick for the evening (find him on Instagram as ChicagoBeerBros.) He ordered the Festival Salad and it was equally as amazing. Entree selection was pretty difficult. Everything sounded amazing - from the Mushroom Tagliatelle to the Wood-Roasted Chicken to the Pan-Seared Halibut. 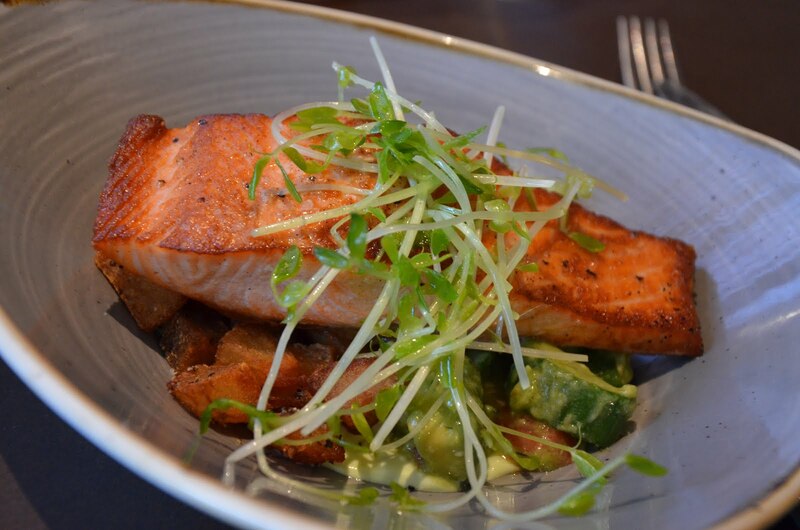 I opted for the Roasted Salmon with summer tomato, avocado cream, cucumber, dill and crispy potato. I savored every bite - ranks up there as one of my top salmon dishes ever (and I've eaten a lot of salmon.) It was really superb and totally worth taking the extra time to visit Park View for a pre-show dinner. 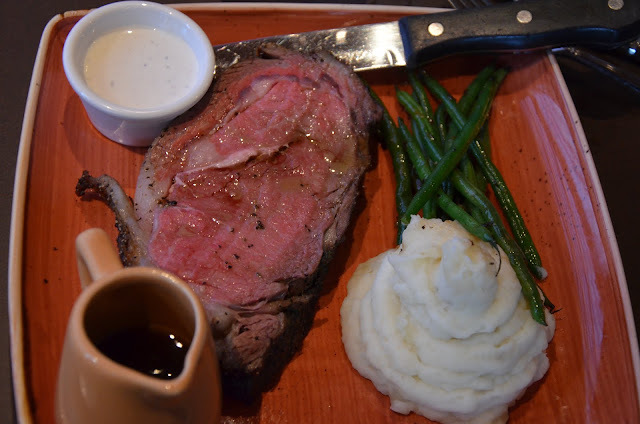 I sampled hubby's prime rib, as well. Major thumbs up. 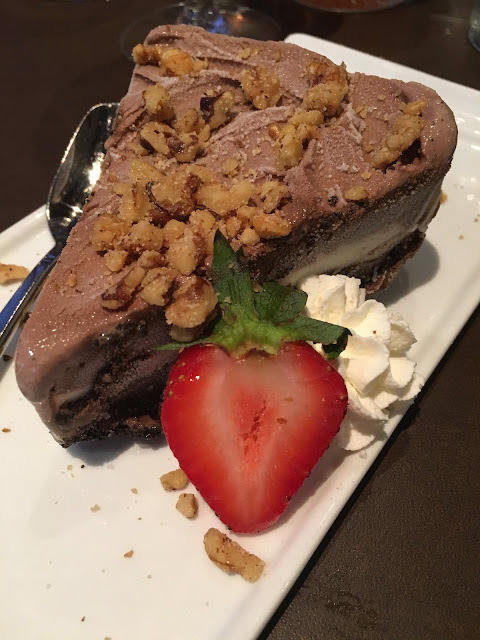 There was little room left for dessert, but I was warned by Allie, Ravinia's social media gal that "If you don't try the Cappuccino Crunch Pie, you didn't go to Ravinia." If she said it was a must, I knew it had to be tried. It's a special ice cream flavor made especially for Ravinia by the supplier and Allie wasn't kidding. You have to try it. It's ice cream, but in pie form and it is simply amazeballs. :) Be sure to save room for it. 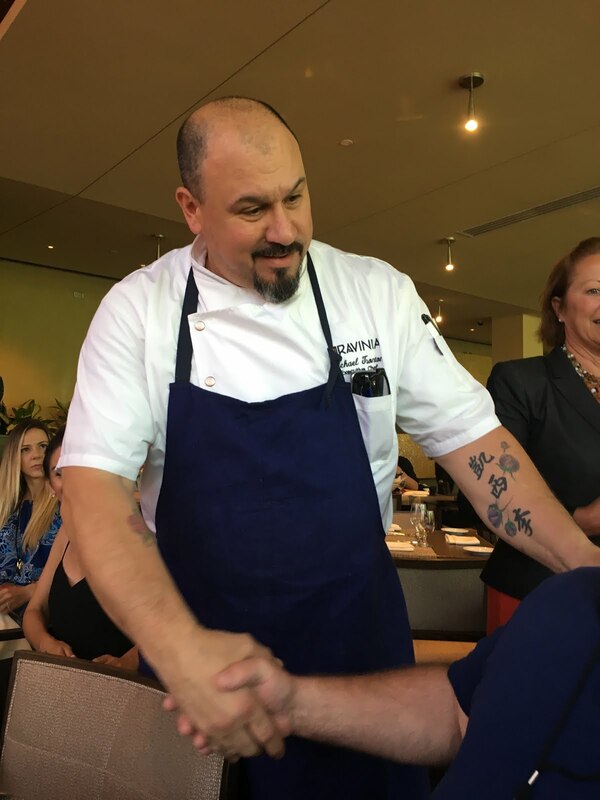 Our compliments to Chef Michael Tonton! 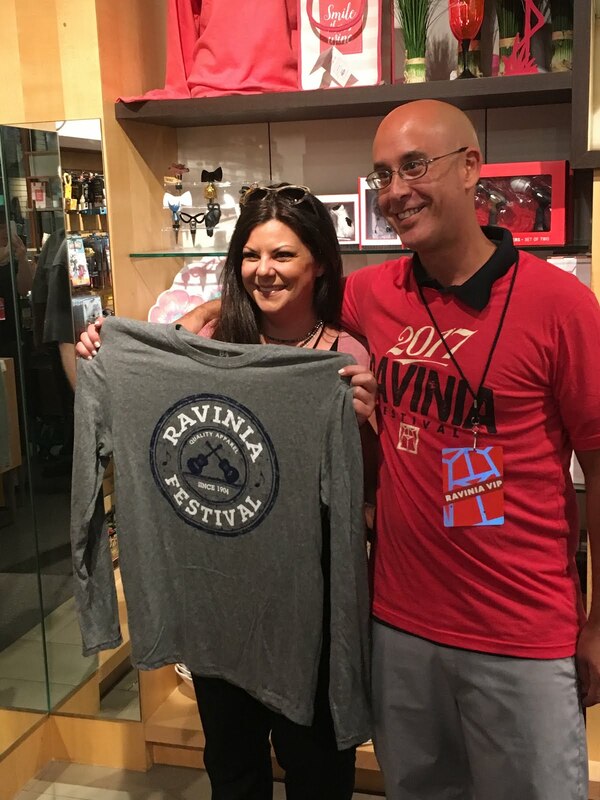 Be sure to also visit the gift shop for fun foodie accessories and Ravinia gear. And of course, after a dinner at Ravinia, we had to take in a show. That night blues legend Buddy Guy was headlining with Booker T. Jones opening. I'm such a fan of blues. One of our favorite trips ever was to Memphis where we soaked in all the fantastic fun of Beales Street and the blues clubs. My favorite movie of all time is the Blues Brothers. So, I was pretty stoked to see the show. 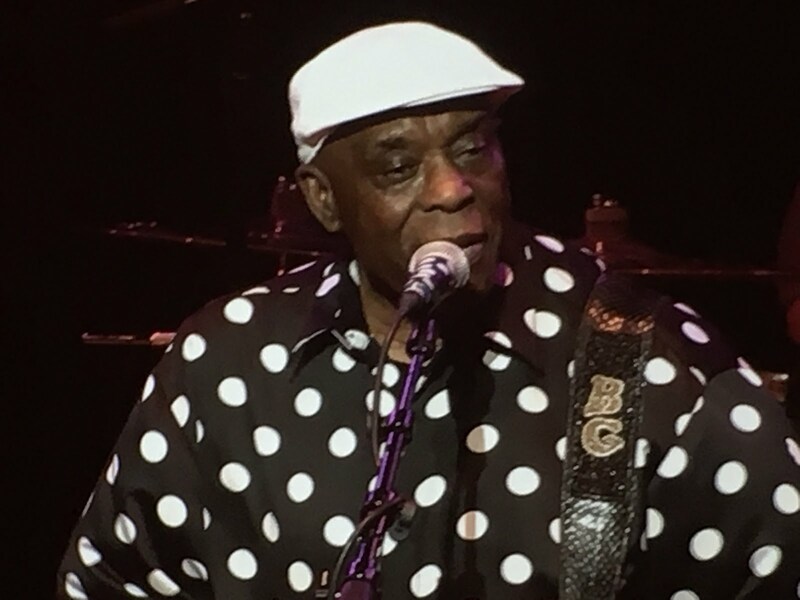 Buddy Guy (at age 80!) put on a phenomenal show - such a master of his craft and just a really cool cat. It was a perfect finish to a perfect summer night - of food, new foodie friends and music under the stars at the beautiful Ravinia Festival. Look for more pictures on the Chicago Foodie Sisters Facebook page. ***A complimentary meal and concert tickets were provided. I was not compensated for this post. All opinions are my own. I've seen a couple of other events at other places, but this was my first time in here. It was amazing! Great event space Atlanta, it's smaller than those bigger places but it is still a fair sized venue. Food was great and I think it's recently renovated - it didn't seem old or anything. Kasandra (user that commented above) is a link spammer that posts comments so they can insert a link to the website that hired them. The same comments has been posted almost 100 times on other blogs. Here's a search for a string of text from your comment so you can see for yourself that these blogs all have the same comments with a link to some page on the same site. https://www.google.com/search?q="smaller+than+those+bigger+places+but+it+is+still+a+fair+sized+venue.+Food+was+great+and+I+think+it%27s+recently+renovated"